UCLA cancer researchers have found that a new triple combination therapy shows promising signs of more effectively controlling advanced melanoma than previous treatments, and also shows fewer side effects. An estimated 70,000 new cases of metastatic melanoma are diagnosed each year in the United States, and of those, 8,000 people will die of the disease. About 50 percent of the total men and women diagnosed with this cancer have a mutated protein called a BRAF mutation, which, in most cases, allows melanoma to eventually build up a resistance to many drug therapies. In the new study, led by UCLA Jonsson Comprehensive Cancer Center member Dr. Antoni Ribas and colleague Dr. Siwen Hu-Lieskovan, UCLA scientists combined targeted therapies utilizing the BRAF inhibitor drug dabrafenib and the MEK inhibitor drug trametinib, together with immunotherapy, which is treatment that uses a person’s own immune system to help fight cancer. The results were published online on March 18, 2015 in Science Translational Medicine. Dabrafenib causes cancerous tumors to shrink in people whose metastatic melanoma has a BRAF gene mutation. Trametinib prevents the disturbance of the MAPK/ERK pathway that dabrafenib causes on cells without the BRAF mutation. 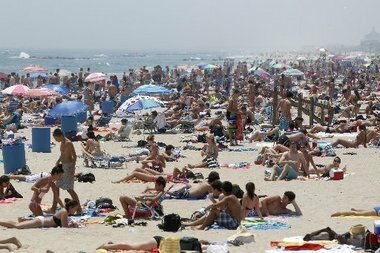 That disturbance causes overactive cells to form a different type of skin cancer. The combination of the three therapies, which was shown to be a more effective treatment, works by sensitizing a person’s own immune system to enhance immunotherapy, and reducing the probability of the melanoma eventually developing resistance. African cattle infected with a lethal parasite that kills one million cows per year are less likely to die when co-infected with the parasite's milder cousin, according to a new study published online on March 20, 2015 in an open-access article in Science Advances. The findings suggest that "fighting fire with fire" is a strategy that might work against a range of parasitic diseases. The immediate implications are for the battle in Africa against a tick-borne cattle-killing parasite, Theileria parva, which causes a disease called East Coast fever. The disease kills one cow every 30 seconds and claims US $300 million in livestock losses each year, mostly from poor herders who can scarcely afford to lose even a single animal. "Our results suggest seeking a simple vaccine that could protect cows from East Coast fever by inoculating them with a related, but far less harmful, parasite," said lead author Dr. Mark Woolhouse, who is with the University of Edinburgh, in the United Kingdom. "It has been suggested that a similar process might be at work in malaria, where infection with the less harmful Plasmodium vivax parasite may protect people from the Plasmodium falciparum parasite that kills almost 600,000 people each year." The study, titled “Co-Infections Determine Patterns of Mortality in a Population Exposed to Parasite Infections,” was conducted as part of an Infectious Diseases of East African Livestock (IDEAL) project, a multi-partner study that includes the Nairobi-based International Livestock Research Institute (ILRI). The project followed more than 500 indigenous East African shorthorn zebu calves during their first year of life. The calves live in a part of Western Kenya where they are routinely exposed to both the T. parva parasite and its less aggressive relatives. T.
Scientists from Montana State University (MSU) and Sweden have discovered an antioxidant system that helps sustain the liver when other systems are missing or compromised. Like a generator kicking in when the power fails or an understudy taking the stage when a lead actor is sick, the newly found system steps up during a crisis. It's fueled by methionine, an amino acid that can't be manufactured in the body and people can only obtain by eating protein. "This is an important finding," said Dr. Ed Schmidt, a professor in MSU's Department of Microbiology and Immunology and co-author of a newly published study in Nature Communications. The article is titled “Dietary Methionine Can Sustain Cytosolic Redox Homeostasis in the Mouse Liver.” "It tells us about humans and all living things. It's an alternative way to maintain the balance you need in your cells to be alive." Dr. Schmidt and his collaborators at the Karolinska Institute in Stockholm published their findings online on March 20, 2015 in Nature Communications. Some vitamins and supplements act as antioxidants, Dr. Schmidt said. These antioxidants help protect cells from the damage that can lead to aging, cancers, and inflammatory diseases. However, vitamins and supplements cannot replace two known natural systems in liver cells: the thioredoxin and glutathione systems. 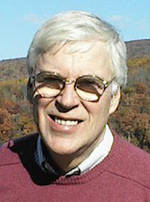 Stephen O'Brien (photo), Ph.D., the CSO of the Theodosius Dobzhansky Center for Genome Bioinformatics, St. Petersburg State University (Russia) and Director of Research for Florida’s Nova Southeastern University’s (NSU's) Office of Research and Technology Transfer, is a world-renowned geneticist, and he was a prominent member of a team of research scientists from China, the United Kingdom, Israel, Russia, and Qatar that examined the genetic make-up of tigers over a ten-year period. The study, which was published online on March 8, 2015 in the Journal of Heredity and will appear in the print edition May 1, 2015, describes DNA signatures for 145 individual tigers, including "voucher specimens" of tigers from verified geographic origins including Eurasian museum specimens that represent extinct subspecies. The article is titled “Genetic Ancestry of the Extinct Javan and Bali Tigers.” Their study's first results appeared in 2004 and showed Malayan tigers splitting from their Indochinese counterpart as a distinct, new fifth-living tiger subspecies. The latest results show that extinct Javan (1980s) and Bali (1940s) tigers were nearly indistinguishable from a molecular standpoint from existing Sumatran tigers, just as the extinct Caspian tigers are nearly identical to surviving Amur tiger subspecies. "These results are important to help craft management strategies for protecting each surviving subspecies of tiger and stabilizing the march toward extinction that they are clearly on," Dr. O'Brien said. "These markers also provide powerful tools for forensic identification of subspecies in captive populations, as well as trafficked bones and skins in illegal trade enforcement." 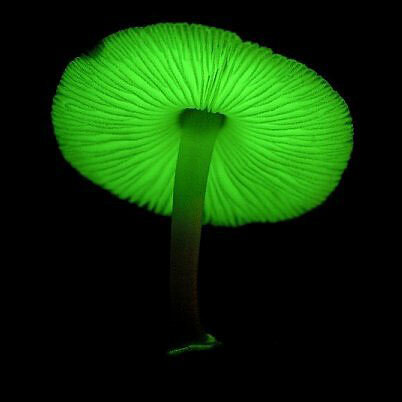 Did you know that there are mushrooms that actually glow? Aristotle was aware of this intriguing fact more than 2,000 years ago. He also was the first person to ask a simple question in print: Why? Now, researchers reporting online in Current Biology on March 19, 2015 finally have a good answer. The title of the article is “Circadian Control Sheds Light on Fungal Bioluminescence." The light emitted from those fungi attracts the attention of insects, including beetles, flies, wasps, and ants. Those insect visitors are apparently good for the fungi because they spread the fungal spores around. The new study also shows that the mushrooms' bioluminescence is under the control of the circadian clock. In fact, it was that discovery that led the researchers to suspect that the mushrooms' light must serve some useful purpose. "Regulation implies an adaptive function for bioluminescence," explains Dr. Jay Dunlap of Dartmouth's Geisel School of Medicine. "It appears that fungi make light so they are noticed by insects that can help the fungus colonize new habitats," says Dr. Cassius Stevani of Brazil's Instituto de Química-Universidade de São Paulo. The circadian control of bioluminescence makes the process more efficient. There are many examples of living things that generate light in various ways. Among bioluminescent organisms, fungi are the rarest and least well understood. Only 71 of more than 100,000 described fungal species produce green light in a biochemical process that requires oxygen and energy. Researchers had believed in most cases that fungi produce light around the clock, suggesting that perhaps it was a simple, if expensive, metabolic byproduct. The new work led by Dr. Dunlap and Dr. Working with lab animals and human heart cells, scientists from Johns Hopkins and other institutions have identified what they describe as "the long-sought culprit" in the mystery behind a cell-signaling breakdown that triggers heart failure. The condition, which affects nearly 6 million Americans and 23 million people worldwide, is marked by progressive weakening and stiffening of the heart muscle and the organ's gradual loss of blood-pumping ability. The research results, published online on March 18, 2015 in Nature, reveal that an enzyme called PDE-9 (image) interferes with the body's natural "braking" system needed to neutralize stress on the heart. The title of the Nature article is “Phosphodiesterase 9A Controls Nitric-Oxide-Independent cGMP and Hypertrophic Heart Disease.” The experiments demonstrated that the PDE-9 enzyme wreaks havoc by gobbling up a signaling molecule, cGMP, which normally stimulates the production of a heart-protective protein called PKG, known to shield the heart muscle from the ravages of disease-causing stress, such as long-standing high blood pressure. Naturally found in the gut, kidneys, and brain, PDE-9 is already a prime suspect in neurodegenerative conditions such as Alzheimer's, the researchers say. But the new study shows the enzyme's footprints are also present in heart cells and are markedly elevated in patients with heart failure -- evidence that PDE-9 is a multi-tasking "offender" and a key instigator of heart muscle demise, the researchers say. To understand the enzyme's role, the scientists exploited the knowledge that heart muscle health is safeguarded by two signaling pathways. On March 19, 2015, MeMed, Ltd. (http://www.me-med.com/), headquartered in Israel, announced publication of the results of a large multicenter prospective clinical study that validates the ability of the company’s ImmunoXpert™ in-vitro diagnostic blood test to determine whether a patient has an acute bacterial or viral infection. The study enrolled more than 1,000 patients and the results were published online on March 18, 2015 in the open-access journal PLOS ONE. The article is titled “A Novel Host-Proteome Signature for Distinguishing between Acute Bacterial and Viral Infections.” Unlike most infectious disease diagnostics that rely on direct pathogen detection, MeMed’s assay decodes the body's immune response to accurately characterize the cause of the infection. Bacterial and viral infections are often clinically indistinguishable, leading to antibiotic overuse and contributing to the spread of antibiotic resistance, which the World Health Organization says is approaching crisis proportions. Paradoxically, the inability to rapidly differentiate infections also results in the underuse of antibiotics, estimated to occur in 20-40% of all bacterial infections, putting patients at risk of complications and increasing healthcare costs. MeMed researchers developed the ImmunoXpert test to accurately distinguish between bacterial and viral infections, with the goal of improving patient management by providing physicians with information that enables them to reduce both the overuse and underuse of antibiotics. Eran Eden, Ph.D., the CEO of MeMed, noted, "Antibiotic misuse is a pressing public health concern, with devastating healthcare and economic consequences. Rapid, accurate, and actionable diagnostic tools are an important part of the solution because they can aid physicians in making better informed treatment decisions.